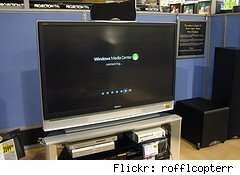 If you've done any online shopping for electronics or computers recently you've most certainly come across a refurb section with items at deeply discounted prices. Matthew Dillon at GottaBeMobile.com, rounded up a great collection of the different ways you can save money buying refurbished, and also compiled several great sources for finding refurbished electronics. Refurbished - The unit was determined to be defective and given a complete overhaul to fix the problem. Scratch-and-Dent - These products will have slight variations on the exterior appearance, but they should function fine. Open Box - You'll find these in the corner of a brick and mortar store often missing remotes and manuals. These are usually returns or floor models, the latter taking heaps of abuse at the hands of customers. The most recognizable source for refurbished goods is the Apple Store, which offers amazing deals on refurbished laptops, iPods and iPhones. I've gotten many great deals on open box items at Best Buy, where returned TVs usually net at least a 15% discount. And during inventory clearance season, savvy shoppers can get an additional 40% off. One of my friends had similar success purchasing a scratch and dent TV from ABC warehouse, negotiating an extra two years of warranty for free, on top of the lowered purchase price. Still not sure? Keep in mind that refurbished products have usually been looked at and tested more closely than the original units that ship. Just make sure that the return and warranty policy policies are favorable before you purchase. GottaBeMobile has many more tips on getting the best deal on refurbished products. Do you buy refurbished? Have you had good luck?